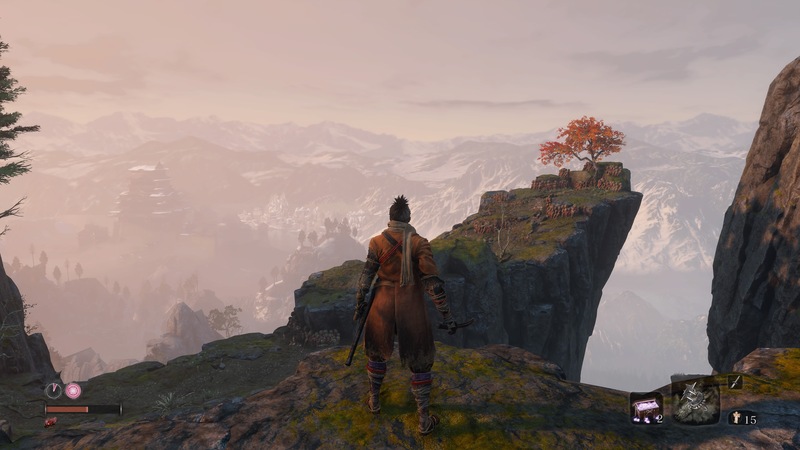 Although Sekiro: Shadows Die Twice tells a more straightforward story than the majority of FromSoftware's previous games, there's still much left to the imagination, and mysteries unsolved. 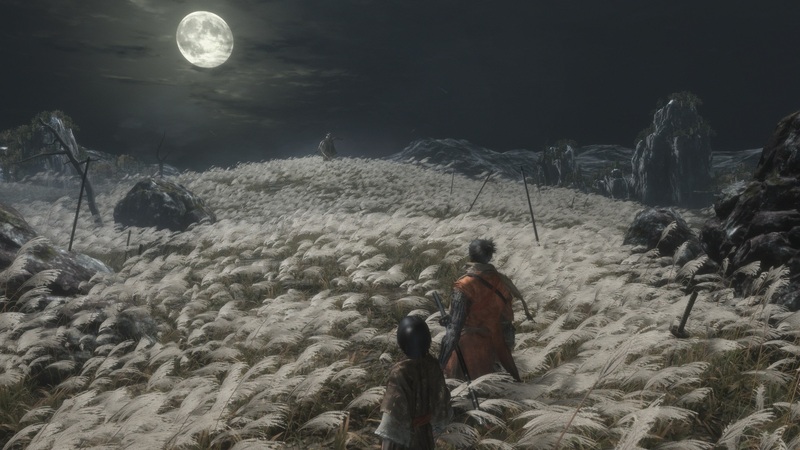 In all, there are four total endings for Sekiro, each with their own consequences for multiple characters that you've met and befriended along the way. In this guide to the endings and characters of Sekiro: Shadows Die Twice, we'll be detailing exactly what occurs in every end state for the game. 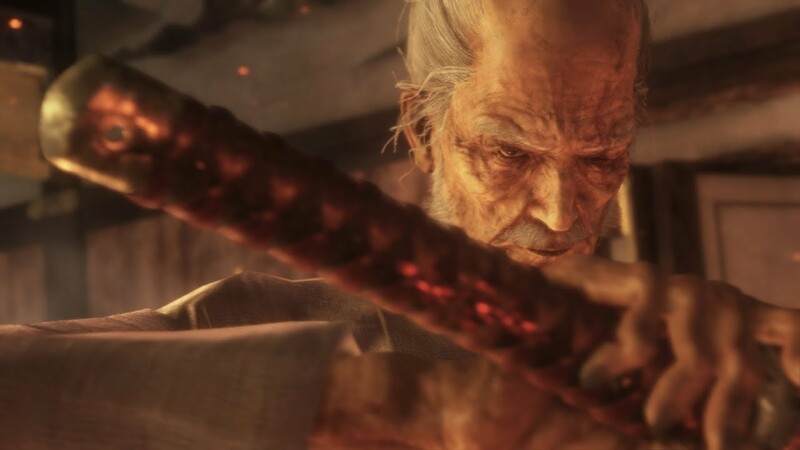 We'll be clearing up any confusion surrounding the fates of various characters and more, so be warned that this article will be spoiling Sekiro in its entirety. 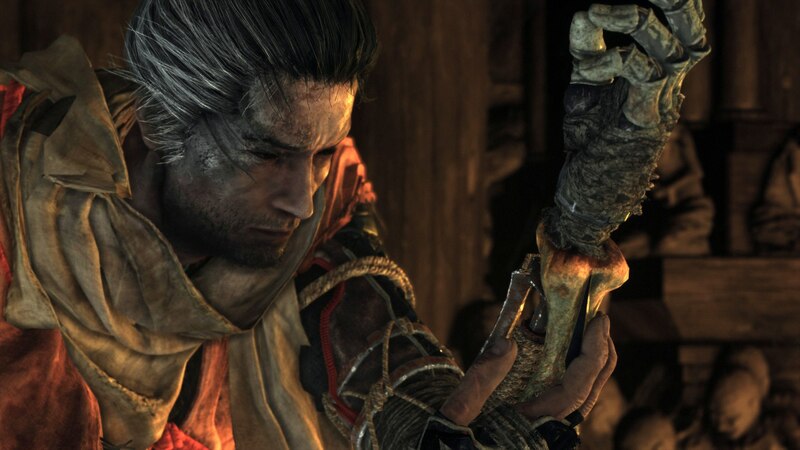 Consider this a spoiler warning for Sekiro: Shadows Die Twice! What happens when you lure people into the Abandoned Dungeon? Who stabs Wolf in the back during the Hirata Estate Flashback? There are four endings found in the game up to this point. While some of them are very obvious, there are two that require the completion of sidequests to see. At the close of the midgame, Wolf reunites with his adopted father, the Owl, whom offers him a choice to forsake the little lord Kuro or defend him. 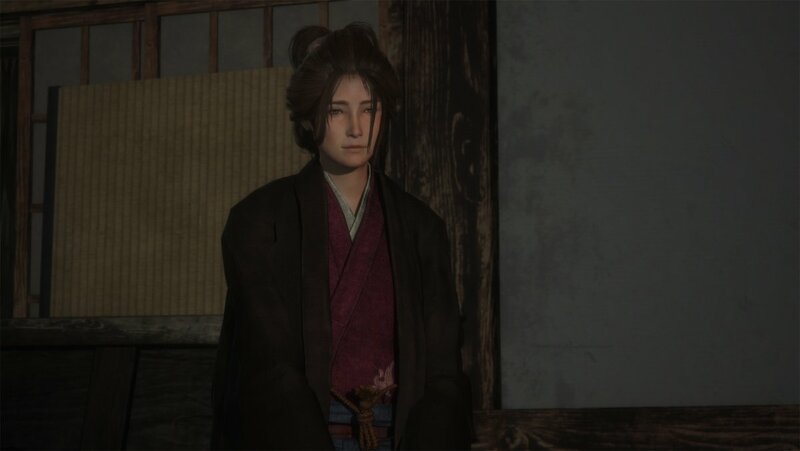 Choosing to forsake the Owl continues the game, but siding with the Owl begins boss fights with Emma, the NPC that will upgrade your gourd, and Isshin Ashina, leader of the Ashina clan. At the end, as the Owl gloats about how he will take over Japan with the Divine Heir’s blood and the second Mortal Blade, Wolf stabs him in the back, thereby becoming the demon Shura and giving in to his bloodlust. The final voiceover describes the massacre that Wolf brings to the Sengoku era. You might consider this the “bad” ending. 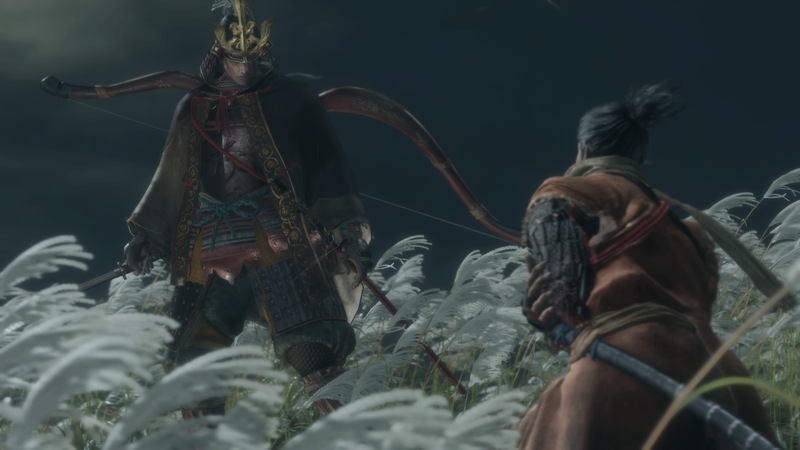 Returning to field where Genichiro takes Wolf’s arm at the beginning of the game, the older Ashina son fights the protagonist with the second Mortal Blade for a final showdown. The fight ends with his apparent suicide, but Isshin, the Sword Saint springs from Genichiro’s bloody neck (it’s gross), beginning the actual end boss fight. Kuro is found bleeding on the ground afterward, where Wolf can hand him the Dragon’s Tears obtained in the Divine Realm earlier in the game. Knowing that he must sever the ties of immortality, Wolf then kills Kuro at his request with the Mortal Blade. He becomes the new one-armed Sculptor, with Emma bringing him the prosthetic arm to one day bestow upon a new Shinobi. This is the “normal” ending. If the player finished the sidequest to kill the Owl in the Hirata Estate flashback, they are given an item called the Everblossom that will end Kuro’s immortality. This happens after the Genichiro/ Isshin, the Sword Saint fight, where Wolf then takes his own life with the Mortal Blade. A grave is later made for him in the field, with Emma and Kuro paying their respects before Kuro leaves Ashina to live a normal life. The NPC that saves the Wolf, affixes him and upgrades the Prosthetic Arm, and is the artist behind various checkpoint idols throughout the game is a retired ninja like the protagonist. His real name is Busshi of Aretera. Training in the Sunken Valley in his youth with the monkeys, he went by the name “Orangutan” until his thirst for killing became too much for others to put up with. Isshin Ashina cut off his arm to curb his bloodlust, and his friend Dogen the physician fashioned the Prosthetic Arm as a replacement, which he ultimately rejects. He was the first adopted father of the NPC Emma as he once saved her from a battlefield like the Owl with the Wolf, though she was later adopted by Dogen. His wrath gets the better of him, though, as he becomes the optional Hatred Demon boss at the end of the game. In the opening cut scene, we see a small child adopted on the battlefield by a giant man going by the name “the Owl.” His real name is Ukonzaemon Usuya. It is speculated that he knew the Sculptor in their youth and trained with him. The Owl betrays Wolf and stabs him from behind in the Hirata flashback, and is a boss that can be fought in that flashback (under the correct circumstances), and in the present during the midgame. The elderly head of the Ashina clan often spoken about and ultimately found in Ashina castle. He also happens to be the Tengu Ninja NPC that rewards Wolf with a few of the Esoteric Texts throughout the game. In his younger years, he knew the Sculptor when the latter was a shinobi and cut off the Sculptor’s left arm to stop his bloodlust, something he detects in the Wolf and warns him about. Along with Emma, he becomes a boss if the Wolf betrays Kuro in the midgame. He also happens to be the final boss of the game as he springs forth from Genichiro’s bleeding body. Emma is the NPC that can upgrade Wolf’s healing gourd. She also likes sake, like a few other characters in the game, and gets a little chatty after a few drinks. Like Wolf, she was found on the battlefield by a giant shinobi named Orangutan, but was later adopted by the physician Dogen, both of whom taught Emma to fight with a sword. She actually gets the plot in gear when she finds Wolf in the well and drops in the missive from Kuro to get Wolf in to snap out of his funk. It comes out that she serves Isshin to protect Kuro in the midgame after the Genichiro fight. That’s a good question. Dogen is the doctor that trained and ultimately adopted Emma. He’s not physically found in the game, but his presence looms over it as he is brought in conversation by multiple people multiple times. Just like The Owl, there’s a possibility that he is the other ninja that trained with the Sculptor in his youth. He designed the prosthetic arm and gave it to the Sculptor and also concocted Divine Grass item. A character named Doujun offers a sidequest in the Abandon Dungeon to lure either the timid Kotaro of Senpou Temple or Jinzaemon Kumano the samurai for some unknown experiments. Whichever you choose, you are awarded 3 Lumps of Wax forging items in return, so there isn’t much in the way of reward differences. Further into the quest, though, will make whichever you conned into coming down this way a boss fight. Of course, neither of these characters needs to be sent to the Dungeon as they have their own quests with rewards, though. Though optional, Wolf has access to the flashback sequence very early on in the game. While Juzou The Drunkard is the initial boss encounter, the real fight is with Lady Butterfly in the basement shrine. Obtaining her memory after killing her reveals that she was one of Wolf’s teachers as a young shinobi, which should foreshadow the betrayal Wolf faces with a mysterious stab in the back. Though there is still some debate over the motive, the mystery assailant is the Owl, whom you can also optionally fight here after a short sidequest. 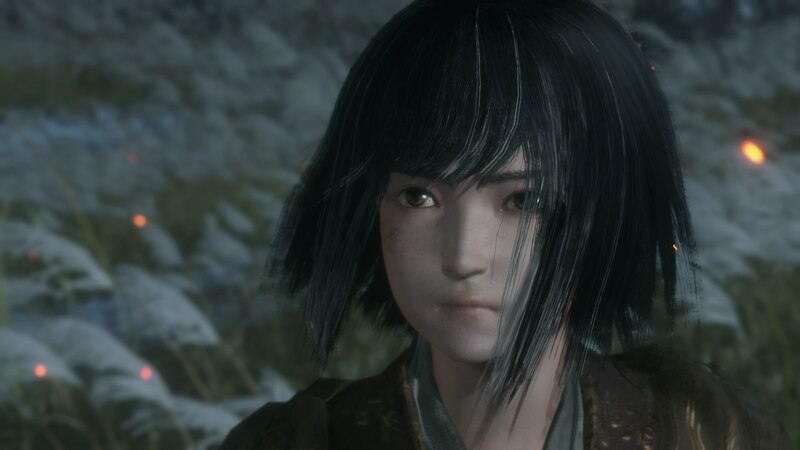 This cannot be stressed enough, but Sekiro is not to be played like Dark Souls or Bloodborne. That said, there are plenty of design conceits and callbacks to FromSoftware’s other work. While direct nods to previous games and characters have not been found up to this point, pieces of their spirit are everywhere for those that know what to look for. Yes, there is an area of the game that not only natively inflicts the poison status, but also inhibits movement. Luckily, Wolf can grapple and jump his way around, but it seems that Miyazaki and company can’t stop reminding players of the Valley of Defilement. Like the Vanguard Demon and Asylum Demon before him, Ginichiro Ashina awaits the player at the end of the tutorial section of the game for a scripted death sequence. Unlike his predecessors, though, there’s no reward for beating the arm-slicing samurai in this beginning sequence. 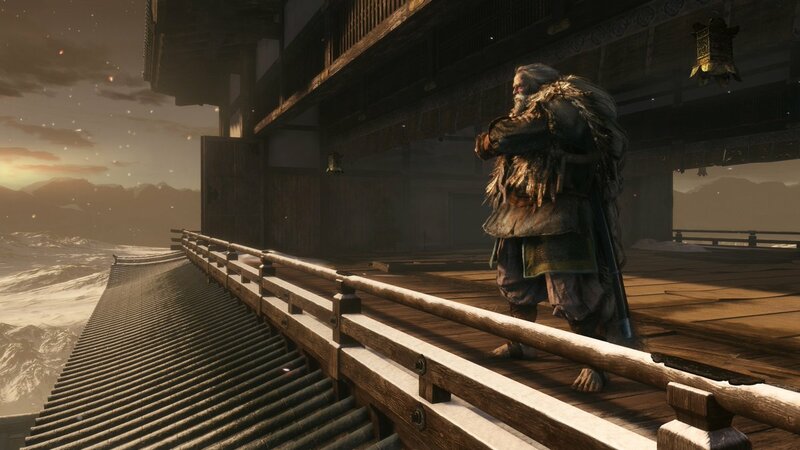 While Sekiro sadly lacks an appearance by the time and space-hopping Patches of the SoulsBorne games, the flashback to the Hirata Estate is the first opportunity to meet Anayama, one of the thieves setting the place afire. Like Patches, he becomes a merchant in the game shortly thereafter. Thankfully without kicking you down a hole first. Though subtle, Sekiro shares a few design elements from the middle kid of the Dark Souls series. First, you can warp from idols from the get go, and not have to unlock this feature through gameplay progression. Next, the Demon Bell will make enemies harder to kill (especially bosses, you’ve been warned) but will drop greater rewards, not unlike the Bonfire Ascetic from DS2. Finally, Wolf isn’t tied to merely refilling his health from the Gourd. Like DS2’s Lifegems, Sekiro’s pellets are common consumable items that will replenish HP, and can be life savers in the game’s opening hours. Though not exactly a 1:1 comparison, Sekiro’s Great Serpents and Great Colored Carp follow a long FromSoft tradition set forth by Demon’s Souls Dragon God of huge enemies to sneak around in a game chock full of tense stand-up combat. Granted, with Sekiro’s stealth mechanics these aren’t entirely out of place, but their sheer scope is still daunting.